The great Pasquale Jones is now experimenting with a new concept. They offer on weekends something called “Lunch”. Yes, its not a typo… lunch on weekends! No Mimosa, no French Toast, not even an eggs Benedict pizza. Just lunch. Last weekend after a quick egg sandwich and a Mimosa at home, I decided to check it out for myself and the results may shock you. It was great! Sure, I was dreaming of bacon and eggs on occasion, but a small price to pay when the pizza is this good. And by pizza, I mean I’m essentially stuck with the Diavola and the now city wide famous LittleNeck Clam pie that is growing on me. 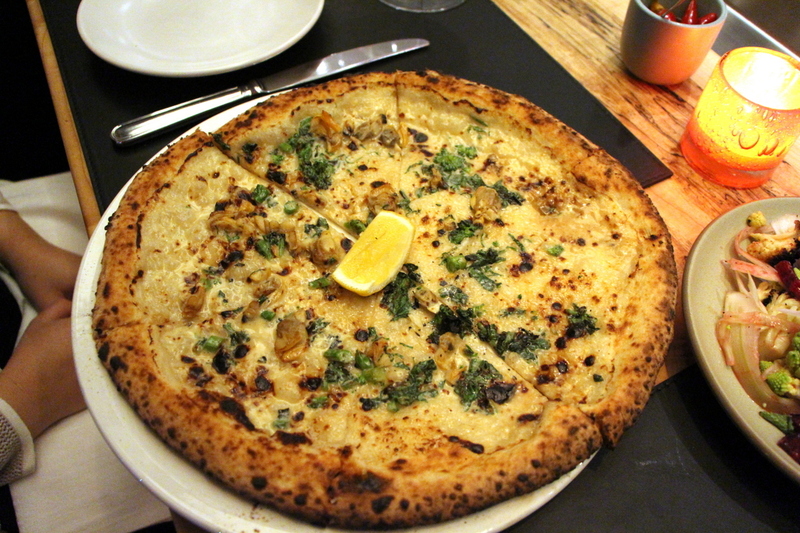 While I much preferred the spicy Diavola last time, the clam pie with a little drizzle of the accompanied Calabrian Chili is creamy and satisfying enough to continue ordering it. If you go for lunch (or dinner), check out the new soft serve and Poke window at Seamore’s next door. They are serving now coconut lemongrass ice cream from Oddfellows which is fantastic. And/or if its open, get the chocolate chip cookie and coffee at Maman. Strong candidate for best cookie in NYC! Cotogna was the mistake from last summer. Instead of sticking to the initial plan, I substituted Cotogna with the very attractive Piedmont heavy menu of Perbacco. The kind of menu sorely missing in NYC. The result was a less than stellar meal that featured Piedmontese classics that deviated the wrong way from tradition. Irony and Redemption came seven months later when Tim Caspare of Cotogna, now at Pasquale Jones, whips a perfectly executed Agnolotti dal Plin that would make any Langhe nonna blush. 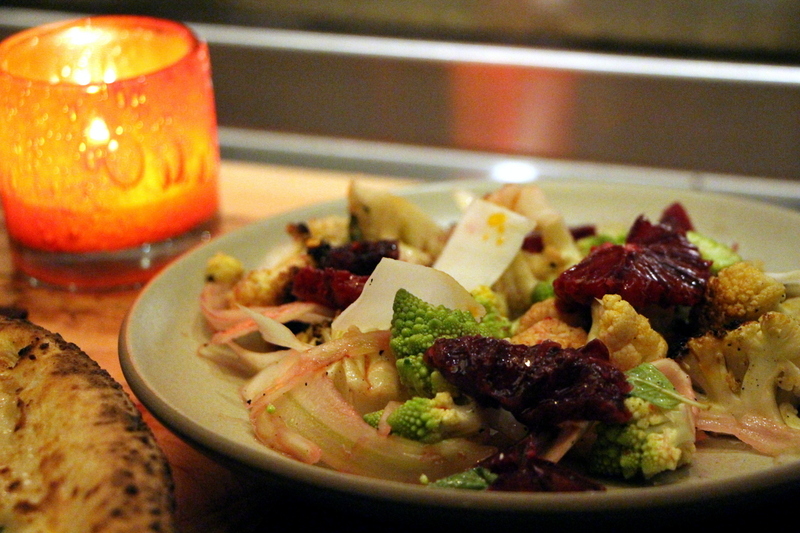 Charred Cauliflower – This is one those simple dishes where you get pretty much what you order. Sure there was blood orange, and some heat to go along, but the star was simple cauliflower that was still raw enough to maintain that crunchy texture. Although the dish was fine, I did have some serious small dish envy, like the Braised Leeks which looked like the sexiest grilled calamari. Clam Pie – Good. I get the sense that this is their early signature pie. I’m not the biggest white pie lover unless its something like Marta’s Potato Carbonara where the ingredients talk back to you (I should probably see someone about this). This is not one of those, but satisfying nonetheless. Perfectly charred, chewy, flavoful dough. 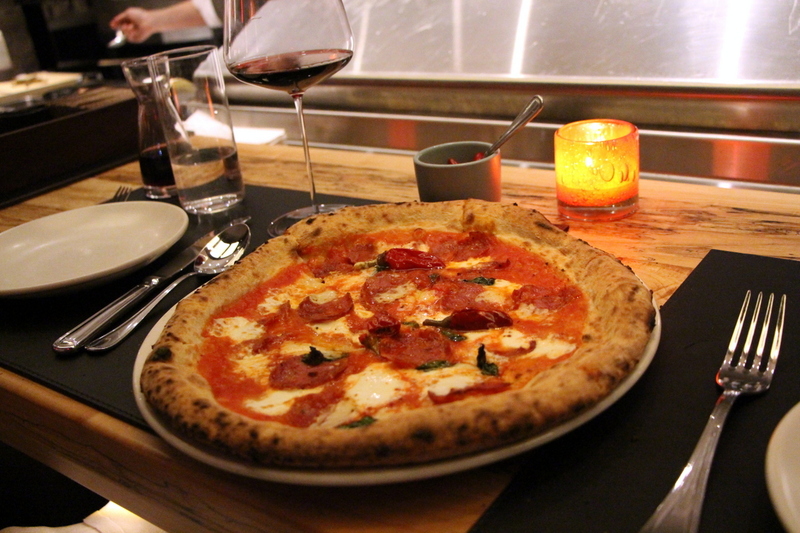 Diavola – More like it, but I’m more of a Diavola fan overall. I wasnt about to order two pies but couldnt decide here. A bit more heat than the average city Diavola. Neapolitanish, very similar to Motorino which is a compliment. 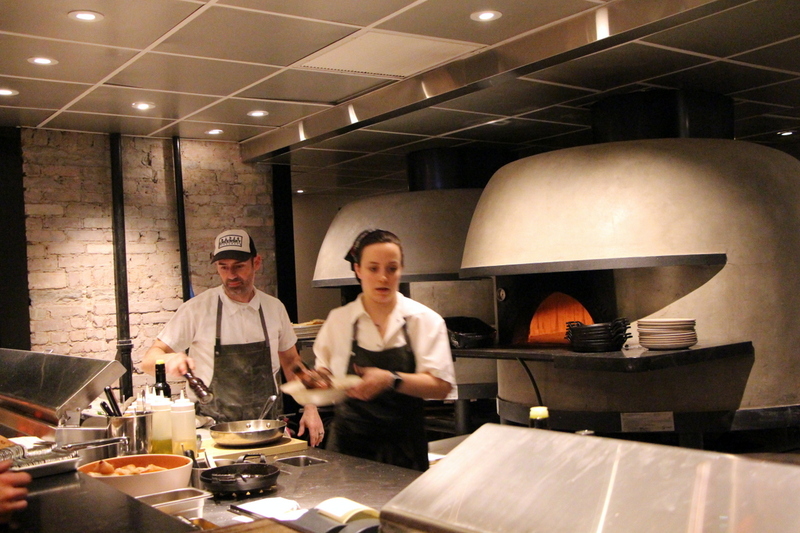 Some may expect more refined pizza (a la Bruno) in a place like this, so its important to adjust those expectations. Its about the total package. 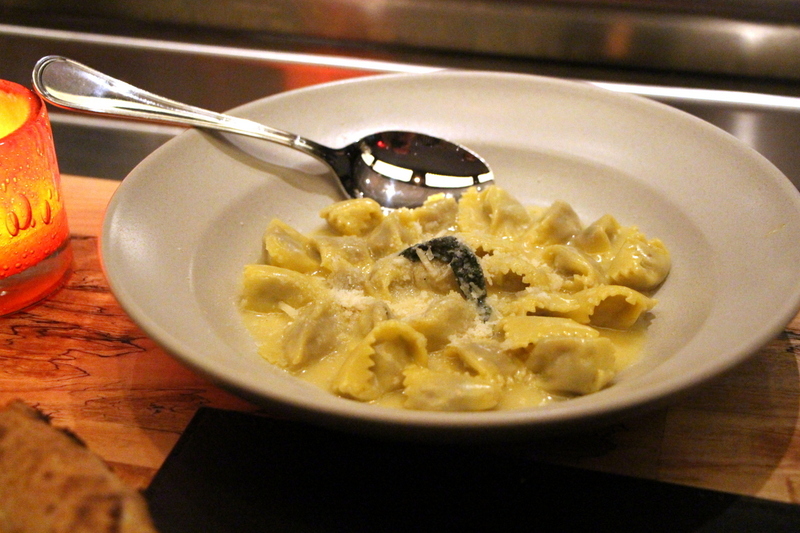 Agnolotti – I already touched on this beautiful dish. This is a good example of pasta that stays true to its origin, unlike the rest of the Agnolottis out there in town. This is buttery, explosive, pillowy Agnolotti dal Plin packed with Guinea hen, sage and Pancetta. PANCETTA! Rigatoni – Another simple but very solid dish. 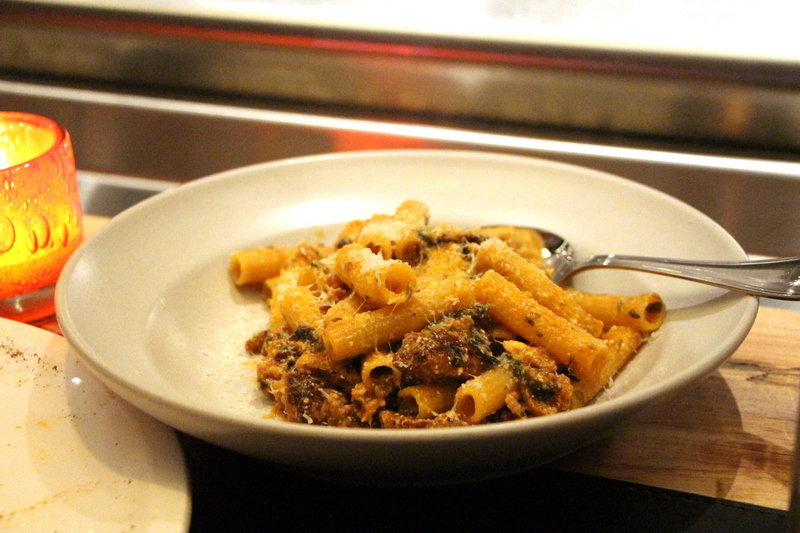 Perfectly cooked dry rigatoni, with sausage ragu carrying a nice depth. Get this! Pear dessert – Proper finish. They only offer one dessert, different each night I believe. 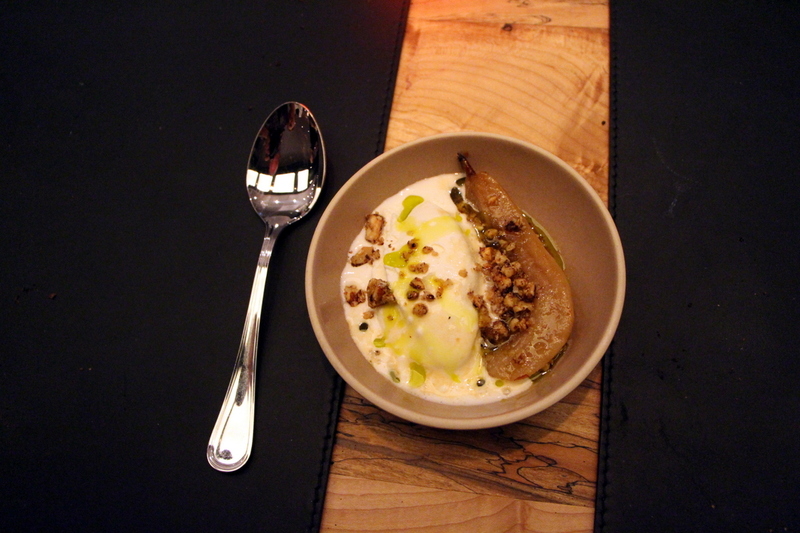 Baked pear with Vanilla ice cream, olive oil and candied hazelnuts. The two brick ovens are utilized heavily here. But Ziggy, in Paragraph #4 you used the word “Ambitious”. 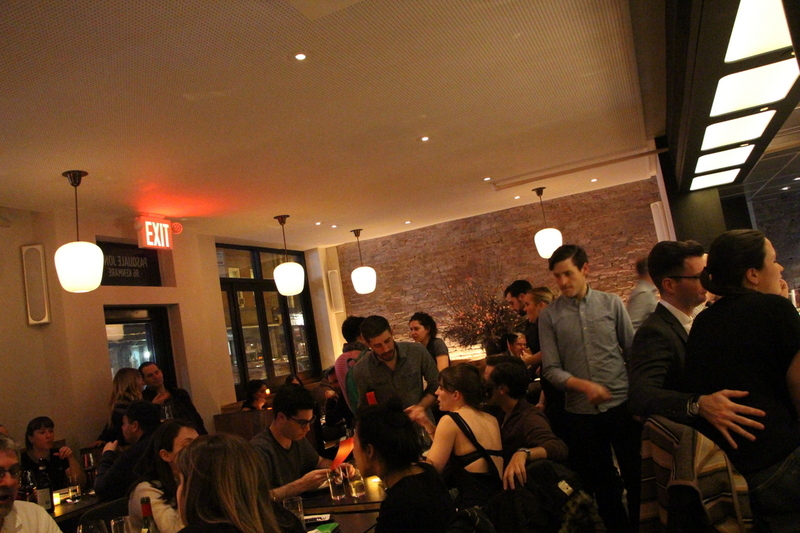 What’s so ambitious about Rigatoni, Diavola, and pear. Good question Timmy. This is where the steaks and fish come in. And by steaks I mean those huge $125 dry aged rib eyes that you can hang in your basement and practice on them like Rocky. 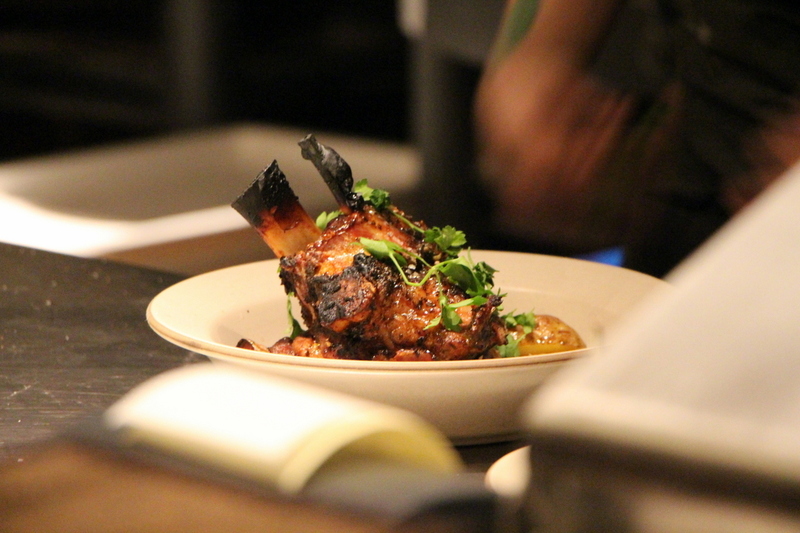 They also offer a beautiful pork shoulder, and a Verdure section to boot. Watching them handle all that meat for two hours, gave me all sorts of impure thoughts.